Summertime is in full swing here in South Florida. Temperatures are the 90's most days and our afternoon thunderstorms show up right on time every day at 3:00pm. Once the storms pass, we usually get a few brief hours of sunlight when it is actually bearable to sit outside on the back porch and enjoy a drink or two. Usually I go for a glass of Prosecco or Moscato with a few frozen berries for a little refreshing flavor. Lately though, I have been taking my occasional evening glass of wine to a whole new level. Since even our evenings here are steamy, I have been keeping myself cool by combining my favorite wine with Fruttare Fruit Bars. 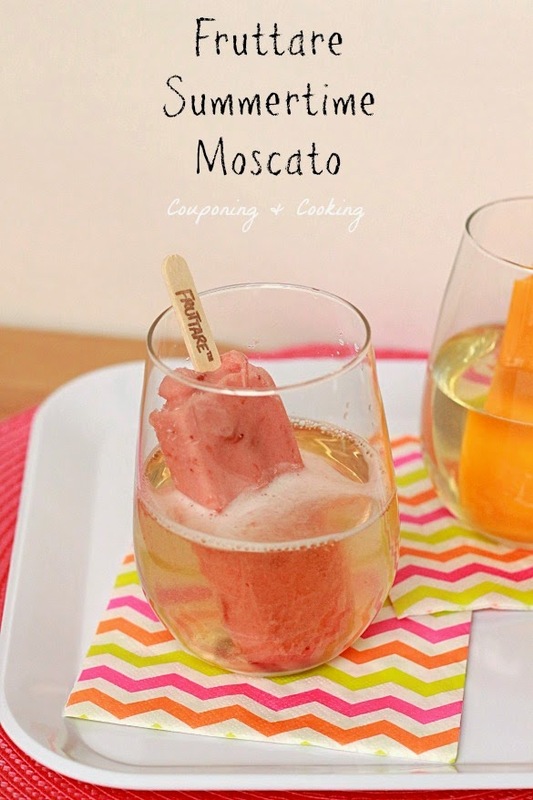 It's the best of both worlds: have your frozen treat and your wine too. And my favorite part? They are about as easy as a drink can get. For the Fruttare Prosecco Fizz, I chopped up some Strawberry and Mango Fruttare Fruit Bars and stacked the pieces in chilled champagne glasses. 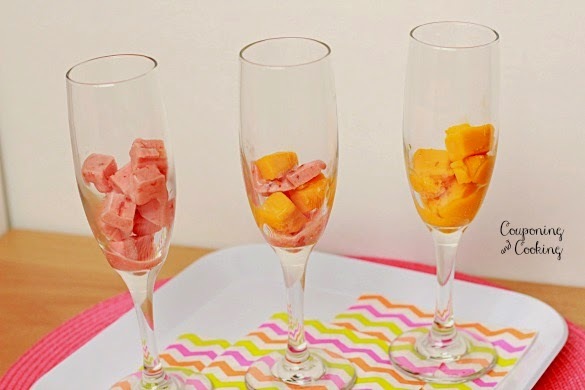 I then poured very cold Prosecco over the fruit bar pieces. The drink was so refreshing and I loved how each sip was a little different as the bar melted. 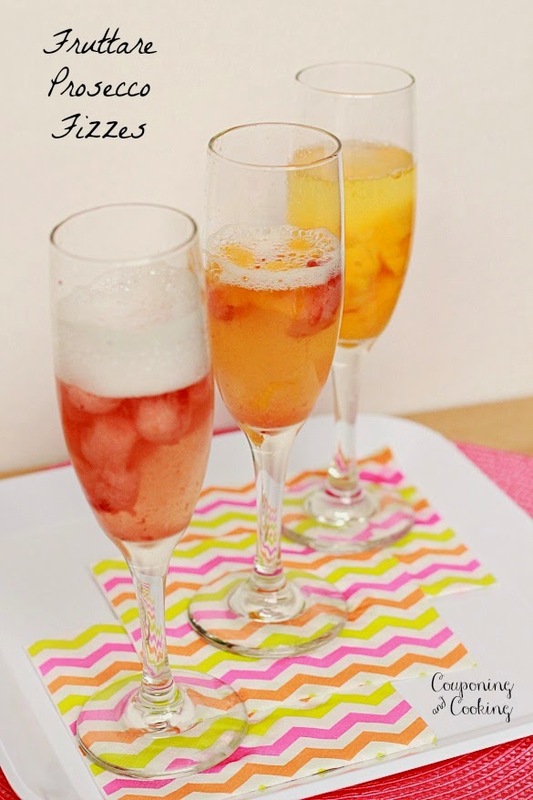 The bubbles of the Prosecco paired perfectly with the cold, creaminess of the fruit bar. And once the bar completely melted I had pieces of real fruit left to enjoy at the bottom of my glass. Don't want to get your hands or an extra plate dirty? 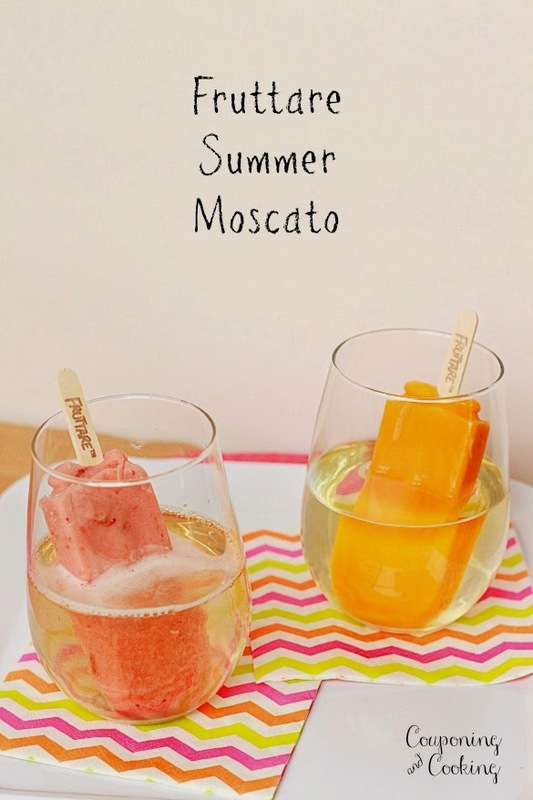 Then the Fruttare Summer Moscato is more your style. All you need to do is unwrap your choice of Fruttare bar, place it in a wine glass and fill with chilled Moscato. 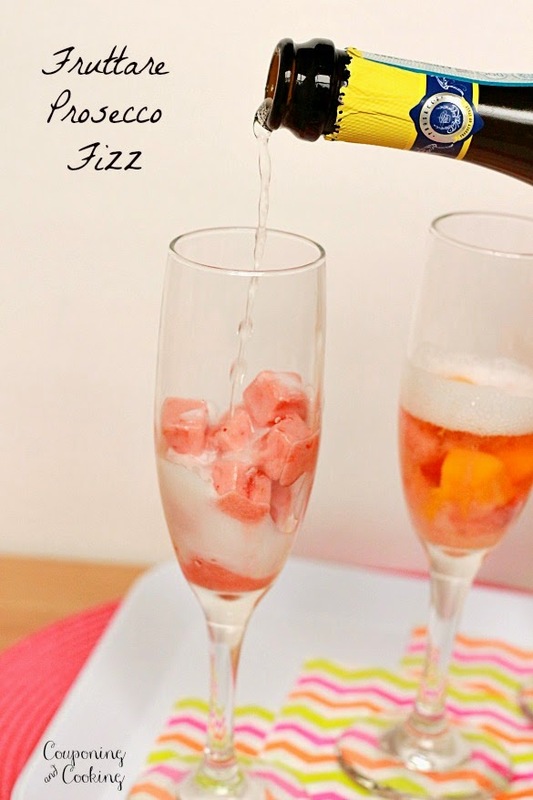 For a little fizz you can top it off with a little sparkling water too. You can sip your wine while enjoying your frozen fruit bar or just let your bar melt in the wine and enjoy it's fruit flavor. I usually end up letting mine melt a little bit but then I get impatient and finish the bar off by itself. I purchased my Frutarre Bars (and wines) at Target but they are available at tons of stores nationwide. I even found a dispenser with coupons for $1 off in my local store so I stocked up while I could. 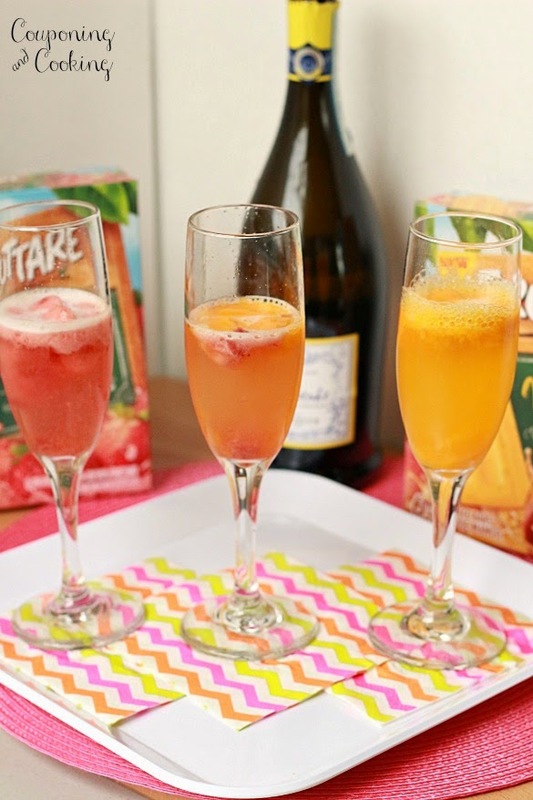 Whether you enjoy your Fruttare Bars by themselves or as part of backyard party drink, they are the perfect refreshing treat for warmer weather. 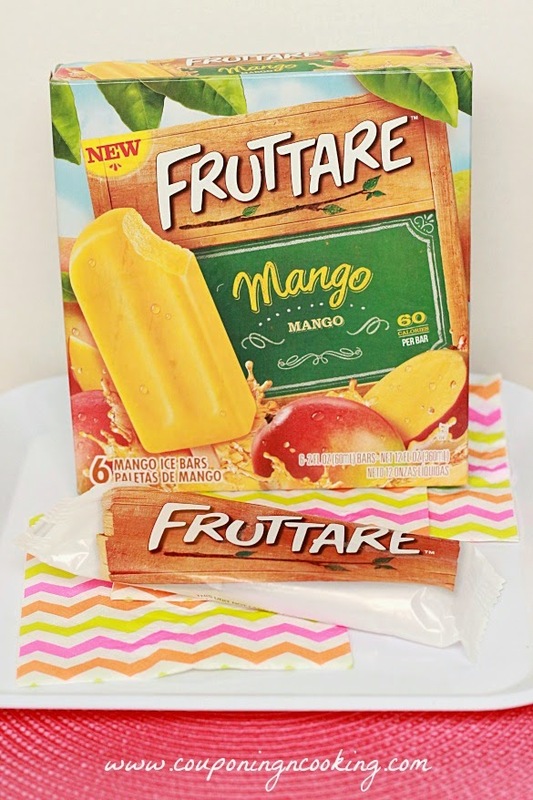 Since Fruttare Bars come in ten flavors including Lime, Mango, Strawberry, Black Cherry, Peach & Milk, and Pinapple you will have endless possibilities for summertime drink combinations.